Fiona Maye is a leading High Court judge, presiding over cases in the family court. She is renowned for her fierce intelligence, exactitude and sensitivity. But her professional success belies private sorrow and domestic strife. There is the lingering regret of her childlessness, and now, her marriage of thirty years is in crisis. At the same time, she is called on to try an urgent case: for religious reasons, a beautiful seventeen-year-old boy, Adam, is refusing the medical treatment that could save his life, and his devout parents share his wishes. Time is running out. Should the secular court overrule sincerely held faith? In the course of reaching a decision Fiona visits Adam in hospital – an encounter which stirs long-buried feelings in her and powerful new emotions in the boy. Her judgment has momentous consequences for them both. 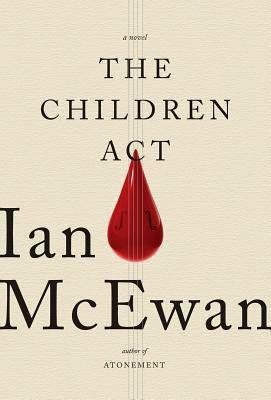 McEwan's works have earned him worldwide critical acclaim. He won the Somerset Maugham Award in 1976 for his first collection of short stories First Love, Last Rites; the Whitbread Novel Award (1987) and the Prix Fémina Etranger (1993) for The Child in Time; and Germany's Shakespeare Prize in 1999. He has been shortlisted for the Man Booker Prize for Fiction numerous times, winning the award for Amsterdam in 1998. His novel Atonement received the WH Smith Literary Award (2002), National Book Critics' Circle Fiction Award (2003), Los Angeles Times Prize for Fiction (2003), and the Santiago Prize for the European Novel (2004). He was awarded a CBE in 2000. In 2006, he won the James Tait Black Memorial Prize for his novel Saturday and his novel On Chesil Beach was named Galaxy Book of the Year at the 2008 British Book Awards where McEwan was also named Reader's Digest Author of the Year. McEwan lives in London and is currently writing a new novel. His most recently published work is For You, a libretto. The first thing that catches your attention about this book is its simplistic cover and beautifully written blurb. It moves you, intrigues you and piques you to a level where you want to just open the book and devour it the next moment. This book is a sensitive portrayal of what can otherwise be called the harsher side of life. It talks beautifully about marriage, relationships, love, lust, desire, need, life and most importantly death. The author has managed to merge so many aspects in this storyline ranging from spirituality, to humanity, to love to marriage. It is a beautiful amalgamation of such beautiful hues of life that they come alive in every page. The narrative is emotive; in every word they seem to have a voice of their own. Every action, every scene, every character speaks loudly to you, your heart and your soul. They make you push open those doors that you have held close tightly for so long, they move you to tears to an extent where you are not worried about the dam overflowing from those eyes. For me this book goes into the category of classic. A masterpiece that one can go back to time and again to read, to devour, to enjoy and relish the beauty the author has carved out in this book. 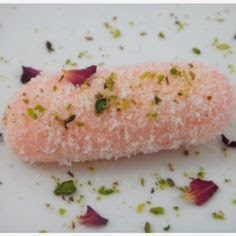 This book is like Gulab cham cham - sweet, rosy, melts in the mouth and makes you want more! Just Jottings: Of free lunches and free- lancing!